Yellow mustard is the holy grail of the Chicago-style hot dog. So when a certain competitor threatened to dethrone the condiment as the top topping on the Chicago dog with it's "Chicago Style Dog Sauce" (aka ketchup) stunt, hometown mustard Gulden's saw an opportunity to take a stand and #DefendTheDog as it looked to increase brand visibility and relevance. To launch its defense, Gulden's partnered with the saucy staff at the Wiener's Circle to film a humorous video firmly establishing mustard's place atop the Chicago-style dog. The brand then rallied consumers behind the cause by giving away ketchup-free hot dogs across Chicago during the Crosstown Classic. This was a key component in driving media coverage for the campaign. 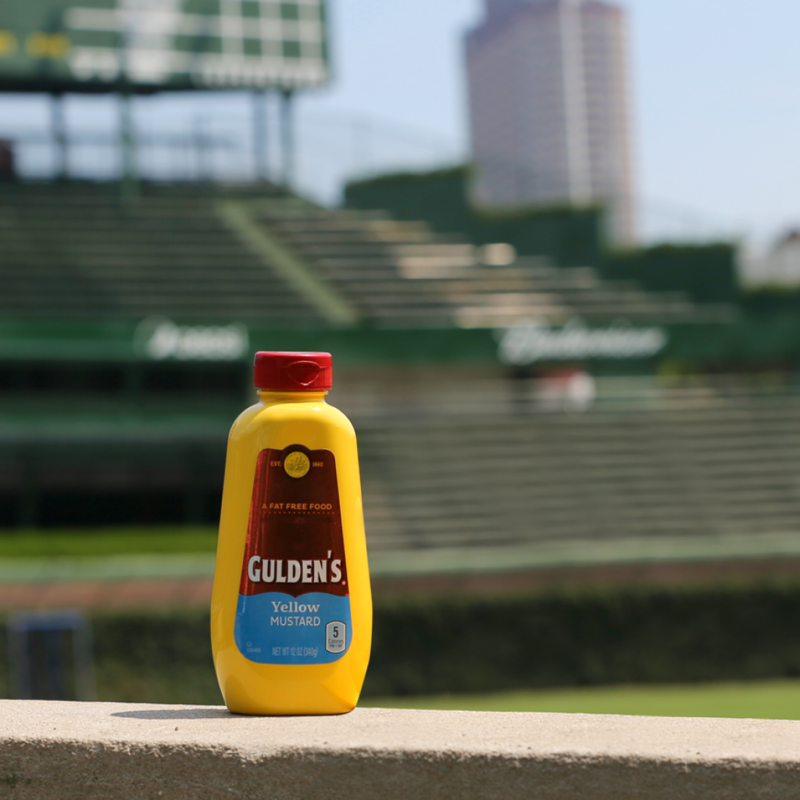 The campaign culminated with the announcement of Gulden's as the official mustard of the Chicago Cubs through a collaboration with well-known Cubs fan "Pink Hat guy" who switched out his signature pink hat for a Gulden's mustard yellow hat on National Mustard Day.